an idyllic oasis located on the coastline in the Antiparos town. 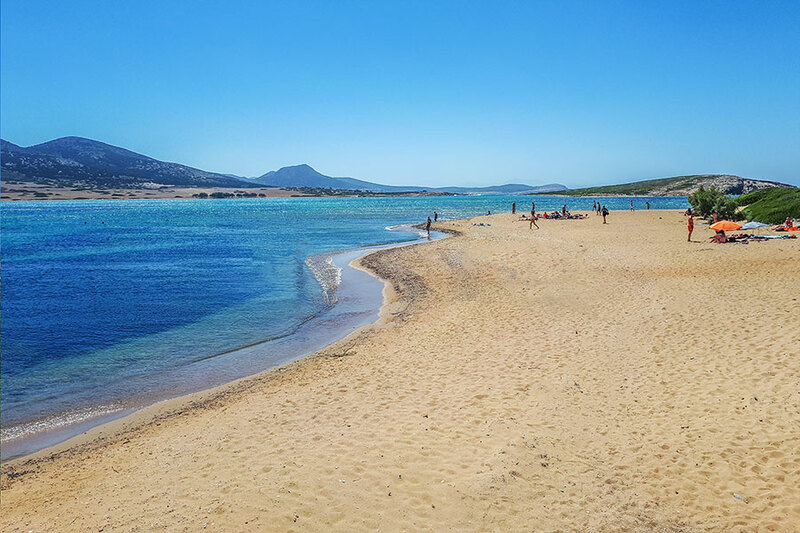 If you are looking for Antiparos hotels, rooms for rent or any type of Antiparos accommodation, Sunday Hotel Antiparos is the ideal place for you to enjoy the island! Feel the comfort. Enjoy the view in one of the best hotels in Antiparos! 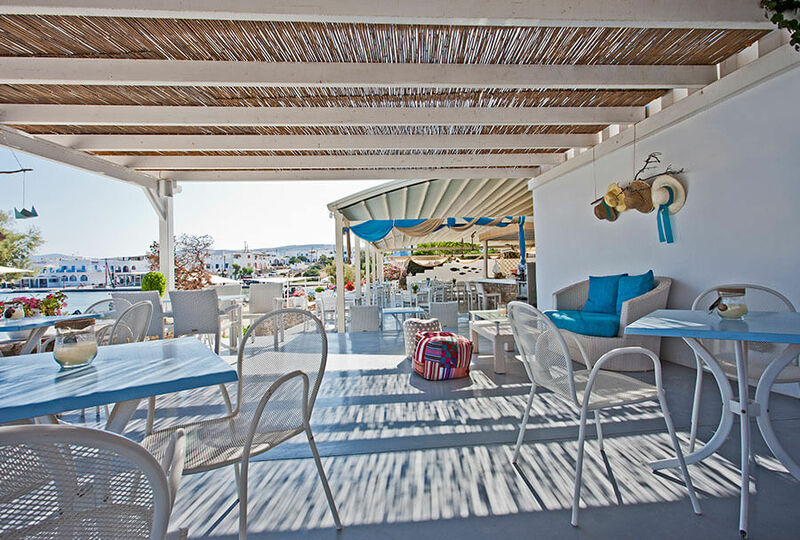 Why choose Sunday Hotel Antiparos? Antiparos. An island. A place full of life, history, dreamy beaches and gorgeous colours. An unmatched experience. Sunday Hotel Antiparos . An original, contemporary concept of hospitality. An exceptional accommodation. 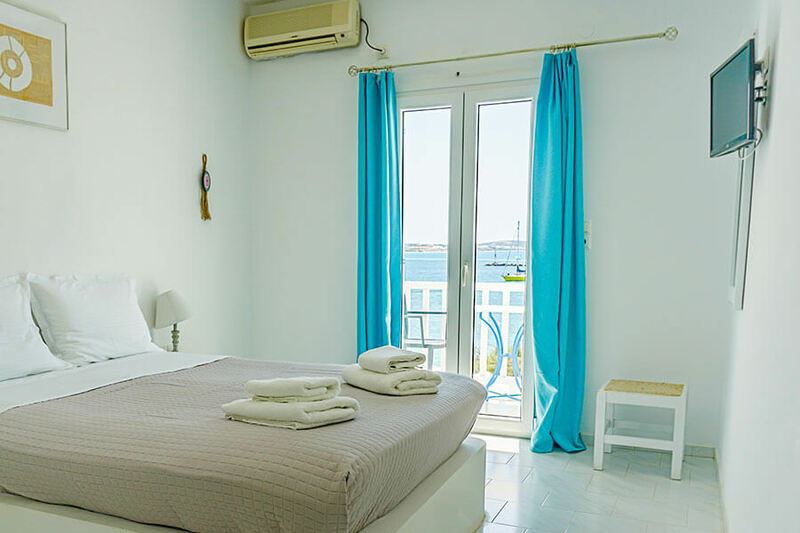 The deluxe Antiparos accommodation provided by Sunday Hotel includes minimally appointed and exquisitely furnished rooms, all with magnificent view of Antiparos port and the Aegean Sea. 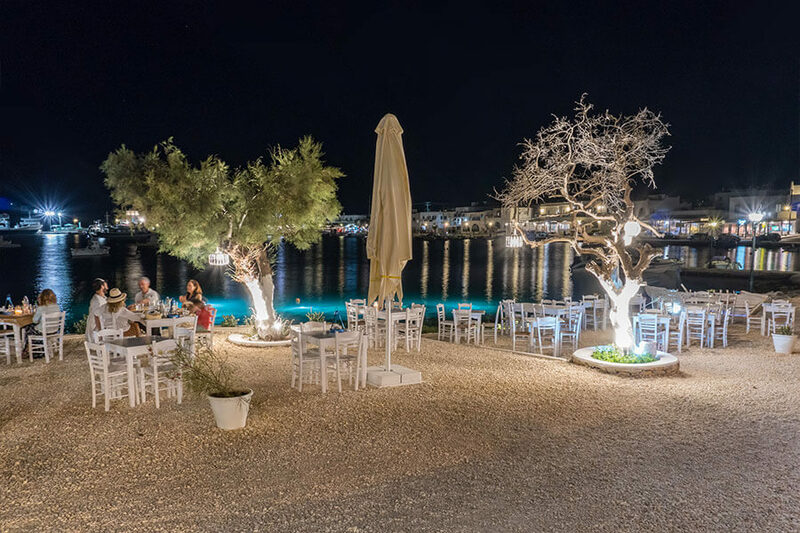 Just by the sea, Sunday Hotel’s famous fish tavern is “Pantelis”, a stylish restaurant, which features some of the finest cuisine on Antiparos Island. Operating all day long, Sunday Hotel’s lounge bar is offering its guests brunch and lunch, coffee and cocktails till late at night. Relax by the sea enjoying the quality and the ambience of Sunday Hotel Lounge Bar! Do you feel ready to ride the waves? Or does a nice boat tour around the island suit you best? Here you can see the available activities in Antiparos. Contact us for availability and booking!